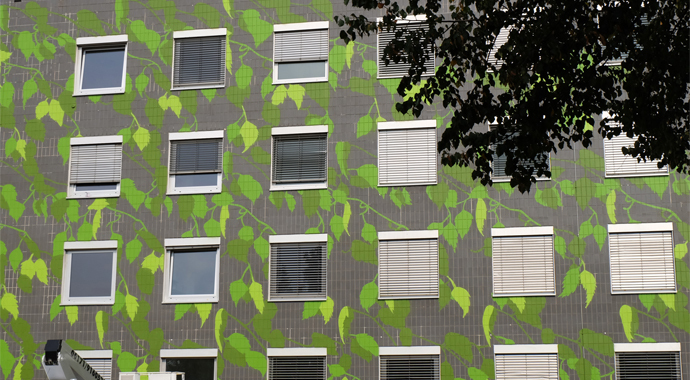 As new students move into the FS Dorms, the South façade of Haus A (facing Adickesallee) gets a fresh look. The former court building has been renovated in 2014 and provides 111 rooms for students grouped in 15 flats. 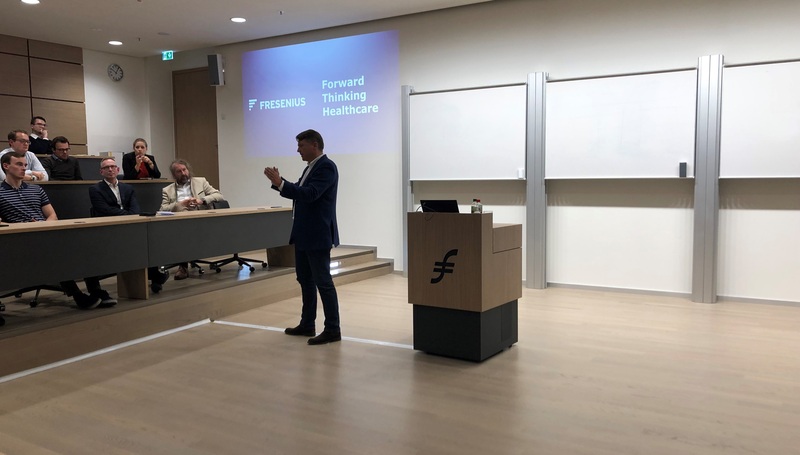 What started one year ago with the first TEDxFS Event ever is about to become one of Frankfurt School’s famous and new traditions besides Career Day or Homecoming Day. This year’s TEDxFS Team, consisting of 12 Bachelor and Master students, was happy to present 7 carefully selected international live speakers from various backgrounds on the topic “Perseverance. Crisis. Perspective”. Being the voice of the students towards the university’s institutions, sponsors, faculty and administration, as well as outside the university is an inspiring fun extracurricular activity at FS. The FS Student Council is composed of ten members who are responsible for treasury, initiatives, communications and projects and events. At FS Charity, we love to combine both fun and charitable aspects. Therefore, our yearly and very famous Poker Tournament is one of the highlights for the student body eager to become FS Poker-Champion. I was lucky to participate in the annual marathon in Vienna on behalf of Frankfurt School, amongst 40.000 other participants from all over the world. This astonishing number of participants makes Vienna City Marathon truly the biggest sport event in Austria! This year, on April 22nd, it celebrated its’ 35th anniversary! The title of this post is the slogan of the marathon. As a first year Master student, looking for a future in Consulting, what better opportunity to get a hands on consulting-like experience than participating in a Business Game! With this in mind we - Dheera Akolkar, Dinan Song, Tobias Schawohl and Jannik Greiff - took the opportunity of participating in the 2018 HEC Business Game. Our journey began when we started working on the application video. Today, Europe and its future appear to be more controversial and uncertain than they were a few years ago. Observing a trend of countries starting to become rather nationalist and the tendency of distancing themselves from the EU, Europe is facing some challenging problems. Studying with a visual impairment? Possible at Frankfurt School! Since birth I have suffered from a visual impairment known as ocular albinism and my visual performance is at only 10%. It has always been my goal to live a normal life despite my disability and I therefore chose to follow the normal school path rather than go to a special school for the visually impaired.